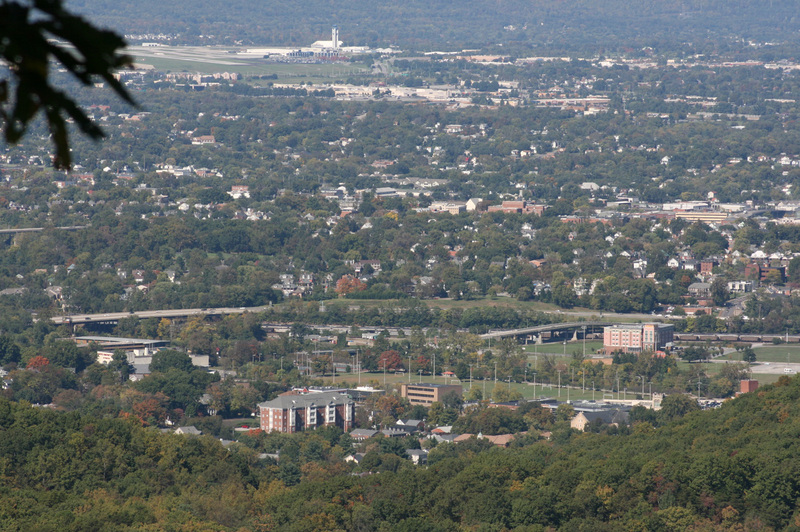 In early October, much of the Middle Atlantic and Southeast United States were hit by almost a week of heavy rains, resulting in some car shows getting cancelled and others being rescheduled. 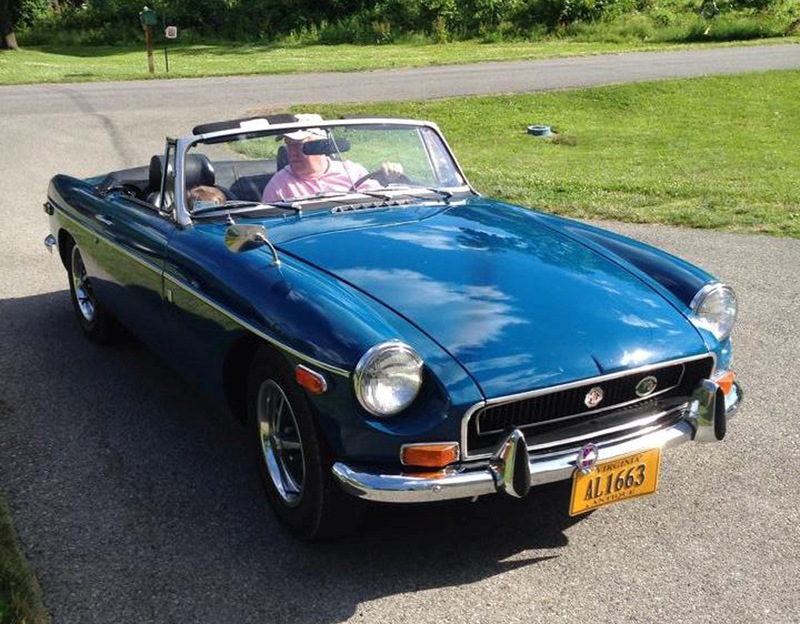 That also meant that my 1971 MGB spent a lot of time in the garage, looking outside whenever I opened the garage door, wishing the rain would stop so it could be taken out and exercised. Finally, late this past week, nice weather returned in the form of a pleasant Indian Summer so it was time to bring the B out for some “road work”. A couple of weeks ago, I had taken it in for servicing in preparation for the drive to Myrtle Beach, SC for the AMGBA Meet 2015/Britfest gathering, but had gotten very little seat time since to drive the car. 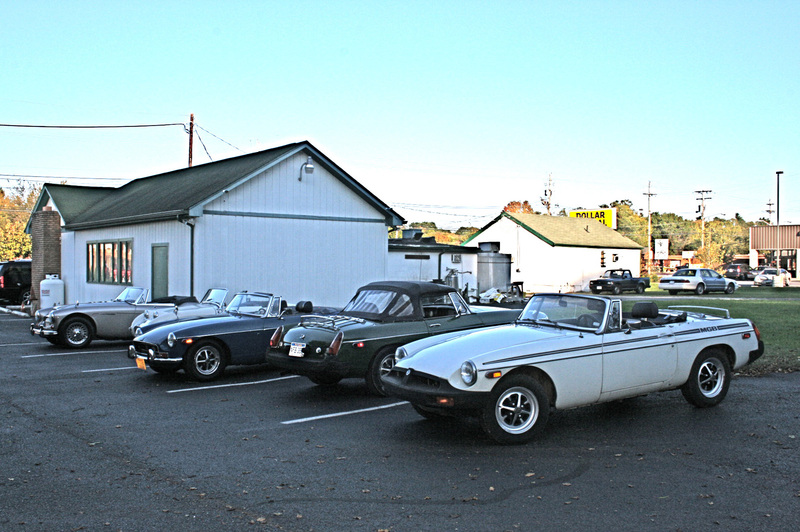 On Sunday, I drove to the monthly meeting of the British Automobile Club of Southwest Virginia where a couple of other Bs were on hand. 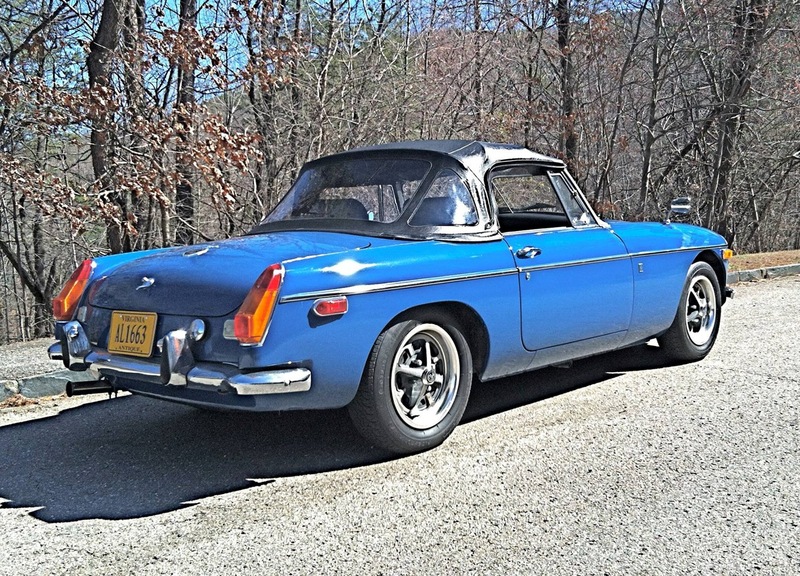 Then, Monday brought beautiful blue skies and temperatures in the seventies so I fired up the B and headed from the Roanoke Valley of Virginia up onto the nearby Blue Ridge Parkway and then up to the top of Roanoke Mountain which gives some excellent views of the valley. The early morning fog had since burned off leaving a beautiful fall day with views for miles from up on the mountain. 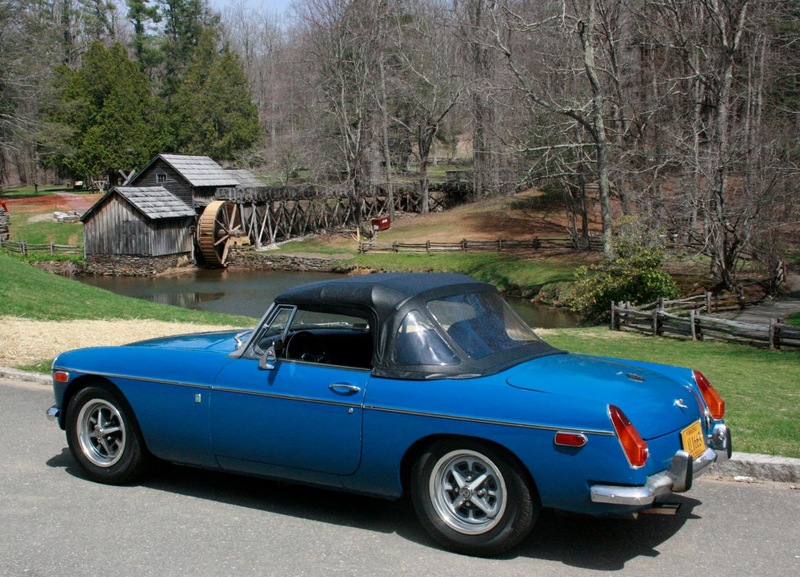 The view from atop Roanoke Mountain provided a nice backdrop for the MGB, as proof that days like this are what having such a car is all about. 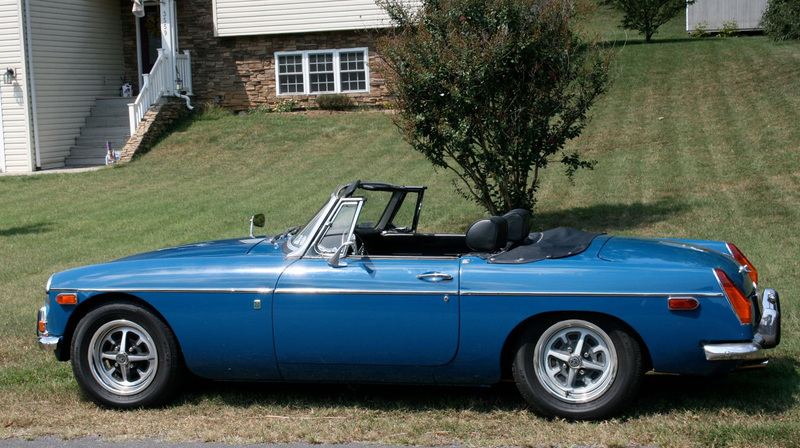 I’ll continue to take advantage of weather like this to take the ‘B’ out for drives on some of the back roads around western Virginia until Winter decides to move in. Hopefully, that will not be too soon.